A wide range of animal knitting and felting kits. 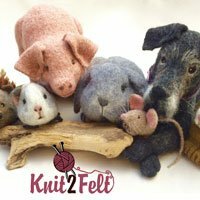 Combining the arts of knitting and felting to create a realistic and unique look. Create your very own keep forever pet. Click to share and let other people know about Buxton Wool Gathering.